When a star passes away it matters to more than just friends and family; fans feel a loss also. You grow accustomed to hearing their voice, seeing their face on small and large screens and magazine covers. What happens when you are not just a fan, but also a friend? Always...Patsy Cline answers that question. 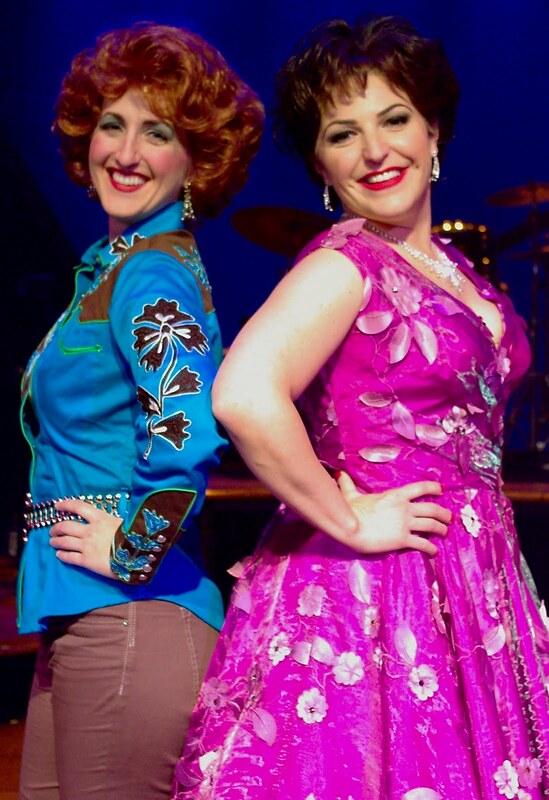 On stage now at Beef and Boards, Indianapolis, the based-on-a-true-story production is told from the viewpoint of a chance encounter between a loyal fan and the legendary country singer. Born September 8, 1932 as Virginia Patterson He nsley, the down-to-earth personality of Cline is well-documented and is the basis for the friendship she builds with Louise Seger. The women become instant pals when Cline performs at a honky tonk club in Houston, Texas in 1961. 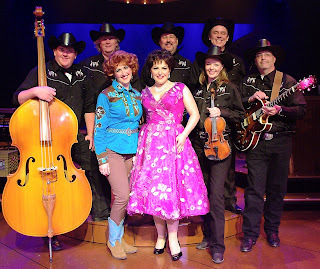 Directed by, and starring, Christine Mild as the Country Music Hall of Fame inductee, the backup band of talented musicians includes, Michael Clark, Jayson Elliott, Sarah Hund, Marc Imboden, Tim Kelly and Terry Woods. Channeling the persona, looks and voice of "The Cline" as she was known to refer to herself, Mild brought the audience to its feet more than once. 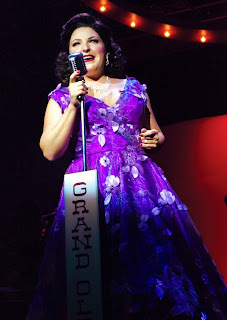 With more than two dozen songs throughout the show, it was a combination of a behind-the-scenes look at the friendship blended with stage reenactments of various shows on which she performed during her short career, including Arthur Godfrey Talent Scouts and Grand Ole Opry. Quite often a single song, or two, is singled out as the best of the performance. In Always...Patsy Cline, it can't be done. Walkin' After Midnight, She's Got You, I Fall to Pieces...the list goes on and on, including Cline's signature s ong Crazy. Mild performs each hit flawlessly, her bold, smoky voice conjuring the beloved singer's ghost. Erin Parker portrays Louise Seger, the lovable country girl who was Cline's friend and biggest fan. Narrating the entire show, Seger scoops the audience up and plunks them down next to her at the kitchen table, or at the bar table next to some beer bottles, and opens up about her lovely friend who just happens to be world-renowned, but likes cooking bacon and eggs just like the rest of us country folk. Sassy, loud, bossy and loyal, all the qualities one hopes for in a friend, Seger is heartbroken when she hears on the radio the news of Cline's death. Prior to the plane crash which took her life at 30 years, Cline had had two separate car wrecks, the second almost claiming her life. The country-pop crossover crooner was noted by several people as predicting she would not live much longer. On March 5, 1963, while returning to Tennessee from performing a charity concert benefiting the widow and family of a deceased disc jockey, the plane carrying Cline, among others, crashed leaving no survivors. The show is not told in a depressing tone, however. The spunky attitude which enabled Cline to become the highest paid female country star and chart-topper was demonstrated by Seger who keeps the audience laughing, clapping along and stomping their imaginary cowboy boots. 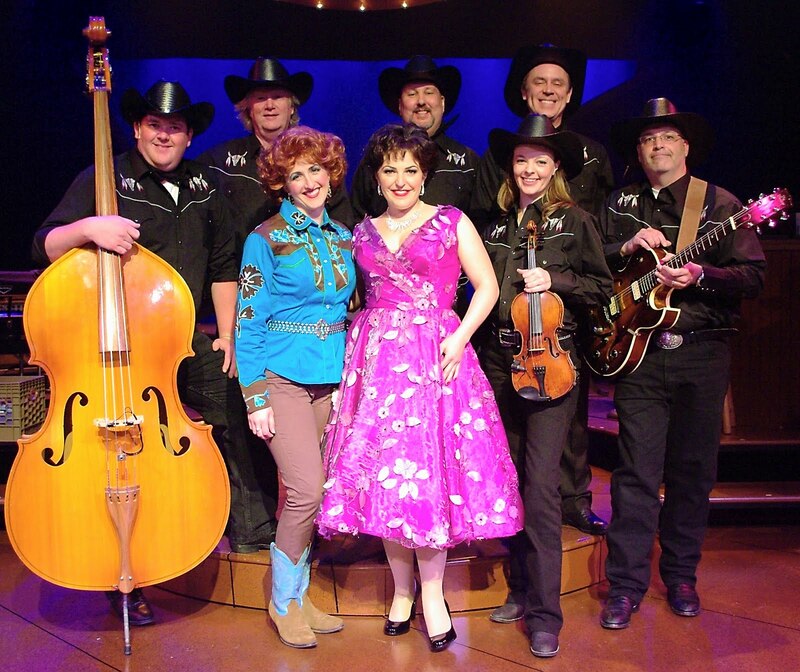 Bottom Line: If you are a fan of the Queen of Country, Always...Patsy Cline is a must-see; if you aren't, well...you will be after seeing this show. Elizabeth J. Musgrave is a syndicated columnist, theater critic, and travel writer. You can now follow Elizabeth on facebook or Twitter and catch her Saturday mornings on 93 WIBC's Saturday Morning News Show, giving a quick Gotta Go list of things to do in the Indy area, including restaurants, events, theater and films. For comments and questions e-mail her at Elizabeth@gottago.us. Just saw this at Beef and Boards and I could not agree more on how great this show was and how great the singing was. Christine made me fall in love with her. Jim, I totally agree with you. 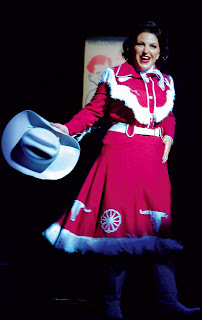 Erin Parker, who plays Louise Seger, has also portrayed Patsy in other productions of Always...and I thought the audience adored her as much as Christine. Thanks for the comment, it is always great to find out others agree with my critique! B&B gives a great value for the dollar, don't you think? Do you get up there often?